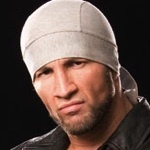 Former WWE wrestler Gregory "Hurricane" Helms was involved in a serious motorcycle accident on Thursday night, according to friends close to Helms. TNA wrestler Matt Hardy described the incident on Twitter Friday afternoon: "Last night, Shane & his girlfriend were in a very serious motorcycle accident. They were both seriously injured, but they're both warriors." Hardy added, "Both are recovering & should be okay."